2 Nice Guys are a family of craftsmen … two generations of remodeling and painting professionals. We opened our family business in Florida back in 2003, and we brought our years of practical experience in the New England building and remodeling industry with us. Our employees; painters and carpenters, convey the same work ethics and commitment to quality and workmanship. When it comes to indoor painting, 2 Nice Guys’ professionalism just can’t be surpassed. We’ve been providing customized and specialized interior painting services in the San Carlos Park location since 2003 and have a lot of happy customers who are more than happy to endorse us to others. Despite the fact that we do a lot of residential interior painting, we also paint industrial, lease spaces, offices and rental properties. We’ll work with you to incorporate indoor painting ideas, interior color schemes, and we will stay within your budget. We do all the thorough prep work like always covering floor surfaces and furniture from dust and paint. You will definitely be satisfied with the final results, no mess left over, and a wonderful new quality paint job. So, when you find yourself in need of painting contractor, you know who to call – 2 Nice Guys, Inc.
2 Nice Guys is among the most prominent, highly regarded and dependable commercial painting companies in San Carlos Park, Florida. We have happily served San Carlos Park local business owners for over 15 years. We have commercial/industrial painting teams to handle any type of customer’s painting needs. Our experienced and trustworthy team of talented painters are fully trained and experienced in commercial painting. We are a fully licensed and insured Florida painting company and our head office is based right here in SW Florida. We are absolutely the painters in San Carlos Park, Fl that you can count on. When making a choice what San Carlos Park painting company to select for your up and coming commercial painting project, look no further than one of the most recognized and trusted names in the industry – 2 Nice Guys, Inc. Our impeccable reputation speaks for itself. 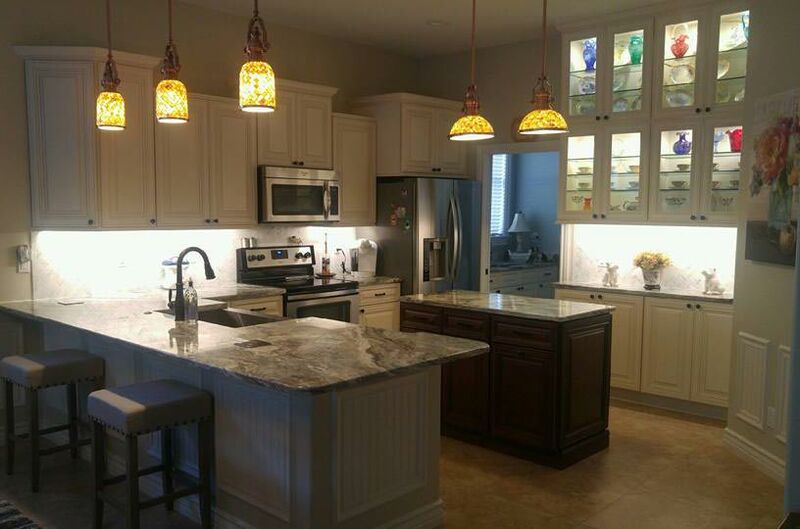 My husband and I have had nothing but a positive experience with the remodeling at our home in Fort Myers. This company exceeds the industry norm in going beyond the call to provided exceptional services, including taking digital photos of before and after an assignment, in order to provide us with detailed progress reports while we were out of state during the project....we will continue to use their services whenever we have any future needs! Over the past four years, the 2 Nice Guys have completed many project for us at our home on Sanibel. From replacement of all windows and doors with hurricane-rated ones, full painting projects, installing a contemporary railing...all projects were completed with quality and within the estimated time that we agreed. We are so proud of our home and could not have completed these projects without the expertise and craftsmanship of the team at 2 Nice Guys! This was a great experience with 2 Nice Guys...the guys were polite and very careful in their work...the cabinets were a faded pickled bleach..look at them now! The crown really set off both our den and dining room. We will be using your services again, and will be sure to refer you. 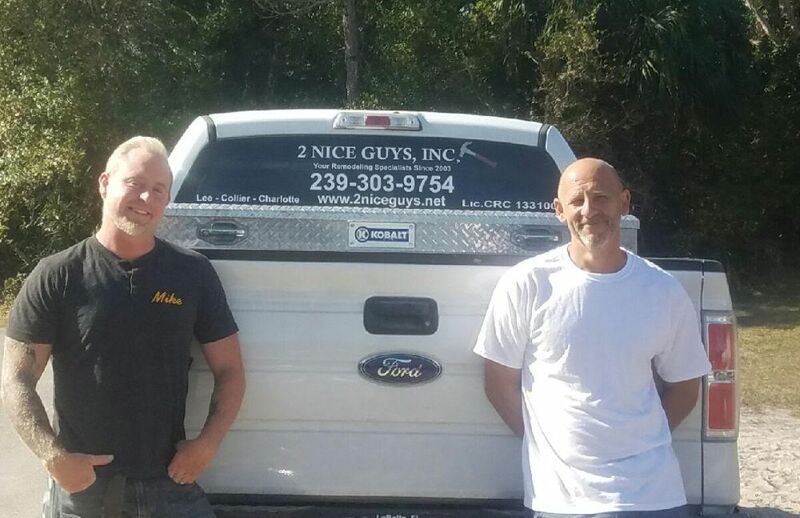 We have been using 2 Nice Guys for many years now, for all types of jobs around our home and business. From painting to carpentry...they always do a first rate job, show up on time, are honest and finish jobs when promised....They're the Best! San Carlos Park is a census-designated place (CDP) in Lee County, Florida, United States. The population was 16,317 at the 2000 census. It is part of the Cape Coral-Fort Myers, Florida Metropolitan Statistical Area. San Carlos Park is located at 26°28′28″N 81°48′56″W﻿ / ﻿26.47444°N 81.81556°W﻿ / 26.47444; -81.81556 (26.474458, -81.815467).